Vectra Networks is a company that specializes in automated threat detection software. They came to Rasteroids needing a modern website that was fully client-managed. The user interface needed to be consistent across all areas, integrate with marketing and analytics APIs, but simple enough for an entire marketing team to update. 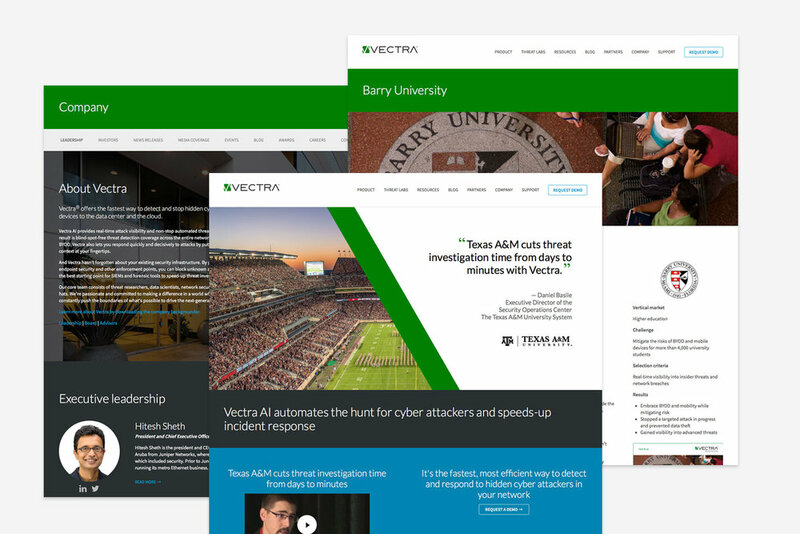 Rasteroids worked with Vectra Networks in designing their website vision. We designed a site that emphasized a colorful palette to match their identity colors and a simple menu navigation with purposeful call-to-action buttons. 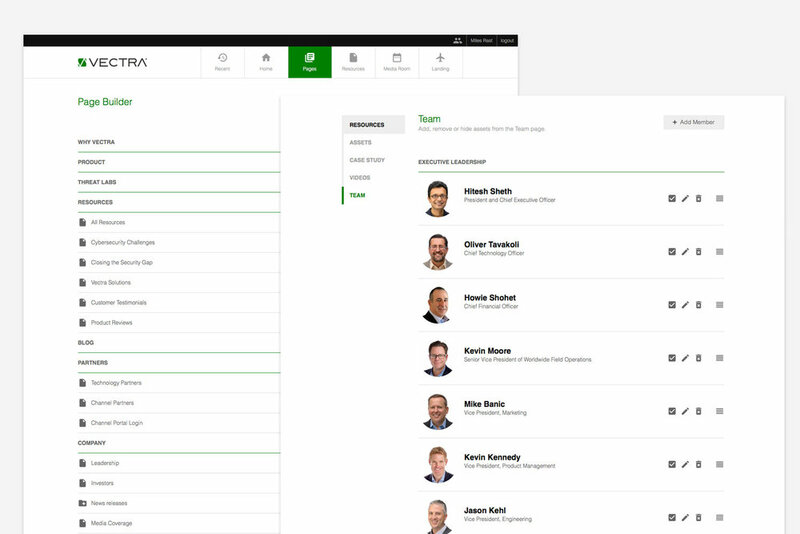 Creating content that the client could maintain and update easily and across many team members was key, all while maintaining design consistency. Rasteroids developed a proprietary content management system built around modular UI components; a series of 25 reusable components were designed and databased with strict guidelines to ensure a uniform front-end design. Pages were built using these UI modules, enabling the marketing team to an endless number of unique but uniform pages. A series of custom Apps were built around news management, events management, resources and more. The entire scope ties into Google Tag Manager and was built around the marketing requirements for SEO, including unique page buildout for video assets based on URL structure. It was also important that certain areas tied directly into their HubSpot marketing efforts – custom integrations built to tie the website and HubSpot together seamlessly. The result is a website that continues to grow with client needs and content, while maintaining the unified vision of the initial design. Visit the project at vectra.ai.